We will be celebrating Professional Engineer’s Week (EWeek) from February 19th to the 25th. EWeek was founded in 1951 by the National Society of Professional Engineers (NSPE) and celebrated in conjunction with President George Washington’s Birthday, who was considered the Nation’s first engineer, notably for his survey work. EWeek is dedicated to raising public awareness of the contributions that engineers make which improve quality of life and motivate younger generations to pursue engineering careers. Among parents, teachers, and students it promotes the importance of a technical education with a high level of math, science, and technology literacy. Each year, EWeek efforts reach thousands of schools, businesses, and communities across the United States. Tricia Maruki, P.E. has been excelling in the Civil Engineering industry for the past seven years, focusing and developing her skills on site development and civil infrastructure projects. 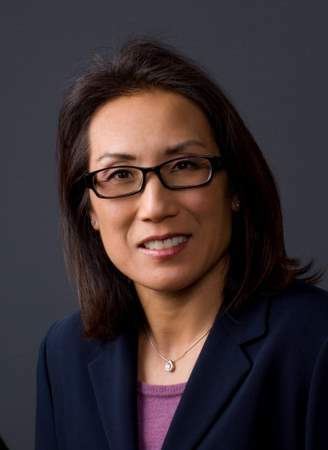 She received her Bachelor of Science degree in Civil Engineering from the University of California, Irvine in 2005, and earned her Professional Engineer’s license in 2008. 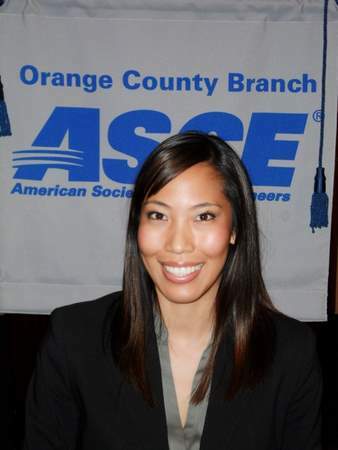 While working full time at AECOM, Tricia went on to attend graduate school at night, earning a Master’s degree in Civil and Construction Engineering from Cal State Fullerton in 2009. Tricia has been key member of the AECOM team since she joined the company in 2007. In the past five years at AECOM, Tricia has proven to be a valuable resource in various projects involving drainage and water quality. These projects range from airports, military bases, ports, grade separations, and grade crossings. 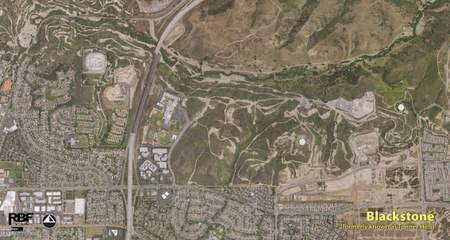 Among Tricia’s recent project assignments, there is one that particularly stands out as an example of her hard work, technical capabilities, and willingness to take on challenging design tasks: the Camp Pendleton Drainage Master Plan. This project, located in northern San Diego County CA, consisted of providing the Marine base with a plan to alleviate flooding in mission-critical areas within the 250,000 acre base. Tricia served as the Lead Drainage Engineer, using creative and innovative methods and detailed analyses to provide the client with and optimum drainage solution. Tricia is currently serving as the American Society of Civil Engineers OC YMF President, and is also active in the Engineers without Borders, Orange County Chapter, as part of the Kenya Water Project and Fundraising Team. Tricia is being honored with the nomination for this award due to her continuous dedication and hard work, her outstanding performance and strong technical skills, and her devoted leadership and service in the engineering community. Thomas A. Broz, P.E., F.ASCE earned his Bachelor of Science degree in Civil Engineering in 1972 from the University of Notre Dame followed by his Master of Science degree in Structural Engineering in 1973 from the University of Illinois at Champaign / Urbana. 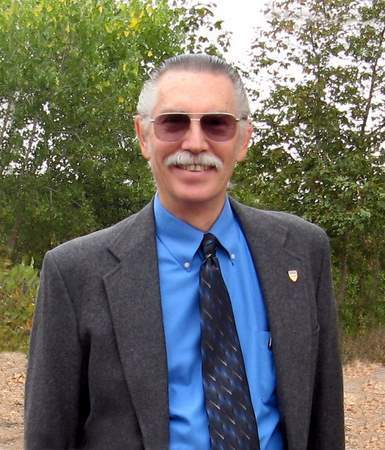 Tom has been a member of ASCE since 1970 and was elevated to a Fellow in 1992. Tom is a licensed Civil Engineer in California and four other states, a licensed Structural Engineer in California and one other state, and a licensed General Contractor in California and two other states. Tom has served ASCE on both the local and national level. Tom locally served the Los Angeles Section Energy Technical Group Board of Directors for five years holding all officer positions. Tom then served on the ASCE Energy Division National Executive Committee for ten years, two of which as Chairman. Tom also served on the ASCE National Energy Policy Committee and the ASCE Energy Division Nuclear Power Committee. For the first half of his career, Tom worked for the Bechtel Corporation initially starting as a design engineer and eventually progress up to be project manager for engineering, procurement, and construction (EPC) services on numerous projects with construction costs in excess of $100M. Tom also served as technical and business development department head. The projects he worked on ranged from nuclear power plants in the US, China, Japan, and Spain to high tech, cutting edge facilities built to help advance manned space flight. For the second half of his career, Tom has been managing local public agency projects in Southern California. Tom is currently the Senior Vice President and Director of Program and Construction Management Services for Willdan Engineering. You can witness his local efforts in the new and renovated OCFA fire stations and the new and renovated parks in Tustin, Placentia, and Fountain Valley. 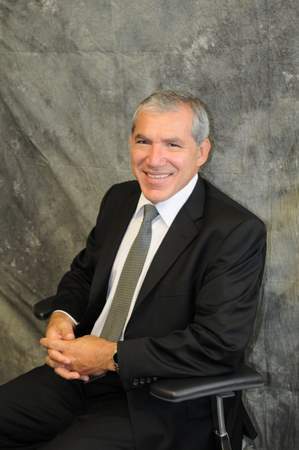 Tom has previously been honored by ASCE, WCCC, his Alma Mater, and his clients. 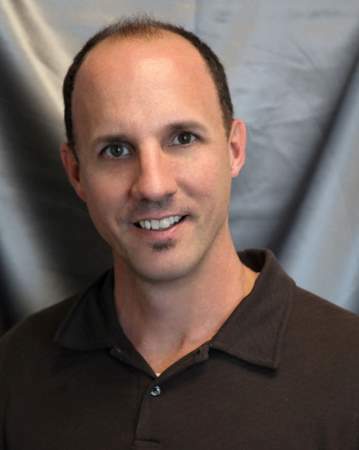 Darren Adrian holds a Bachelor of Science degree in Civil Engineering from California State Polytechnic University of Pomona. He is a registered professional engineer in California and Utah and has over 20 years of professional experience in civil engineering related primarily to the planning, design, and construction of transportation facilities. Darren has worked on a variety of transportation projects ranging from highways and local roads to rail grade separations and transit throughout Orange and Los Angeles Counties as well as the Inland Empire. He serves as a Practice Builder for Kimley-Horn and Associates, Inc. and has most recently focused on providing leadership and building Kimley-Horn’s downtown Los Angeles office. One of the primary projects that has brought Darren and his team to Los Angeles is the Exposition LRT Design-Build project that will construct a new line from Culver City to Santa Monica, where Kimley-Horn is responsible for design within Segment 3 – Santa Monica. Darren is a Past President of the Orange County Branch and has served on numerous committees associated with the Orange County Branch and the Los Angeles Section. He has also participated in ASCE’s annual legislative visit to Sacramento. Additionally, Darren has contributed to the development of younger engineers by serving as a part-time lecturer in the Civil Engineering Department at Cal Poly Pomona. Brad Fowler’s experience as a Civil Engineer began after USC in the Navy Civil Engineer Corps. The great thing about the Navy was that they gave one many, varied and challenging cradle-to-grave project assignments early in life and the chance to see the world. At the age of 27 Brad was assigned to be the independent contracting officer and owner representative to manage the construction contract for a modern 6400 foot runway/air terminal on Yap Island in Micronesia. This assignment included designing and constructing the island electrical distribution system extension, developing a quarry and repairing the island’s water system and building the first asphalt roads on the island. During 11 military assignments and 23 years of service, highlights included: disaster recovery operations following several major typhoons and earthquakes; teaching at the Civil Engineer Corps Officers School; managing design and construction contracts for airport and port facilities including the $150 million David Grant medical facility in 1988; public works maintenance assignments managing railroad, nuclear weapons storage, fire stations, utilities, family housing, fleet operations, energy and broad environmental programs for military installations; and command of Navel Mobile Construction Battalion Three worldwide. Following retirement as a Navy Captain from Marine Corps Air Station, El Toro in 1998, Brad began serving municipal government with the Cities of Westminster and Dana Point. Highlights in these assignments included: water utilities management, particularly the failure and replacement of Westminster's water tanks; parks construction and maintenance including design and construction of Dana Point’s Sea Terrace Park; coastal zone and water quality management including installation of Dana Point’s Ozone Water Treatment Facility; and street beautification projects on Pacific Coast Highway including Dana Point’s Pedestrian/Entry Bridge. Penny Lew, P.E. earned her Bachelor of Science Degree in Civil Engineering from California State University, Northridge in 1987. Following an internship at L.A. County Flood Control District, Penny joined the private sector prior to graduation and gained invaluable land development experience working several years for firms in Los Angeles. There she completed design for grading, utilities and streets for residential, commercial, and public projects. Penny later took a position at the Metropolitan Water Districtas a Project Engineer who worked on design for projects within Diamond Valley Lake and a segment of the Inland Feeder as well as studies for the Diemer and Weymouth Filtration plants and Lake Mathews. Penny moved to Orange County in 1999 when she took a position as a Project Manager at Norris Repke working on various road, parks, and utilities projects. Currently, Penny is Chief Programming at OC Public Works/Flood Control Section and has been with the County of Orange forthe last 9 years of her 25-year career. 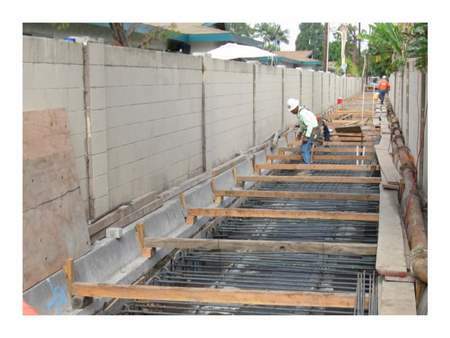 While in the Flood Design Unit, she completed Capital Improvement projects throughout Orange County including reaches of Peters Canyon Channel, San Juan Creek, Huntington Beach Channel, and Fullerton Creek. Penny is currently with the Programs unit where her responsibilities include flood administration, overseeing CIP budget and coordinating for project selection into CIP, preparing project studies, review proposed flood related regulatory policies, and overseeing plan reviews for permits. 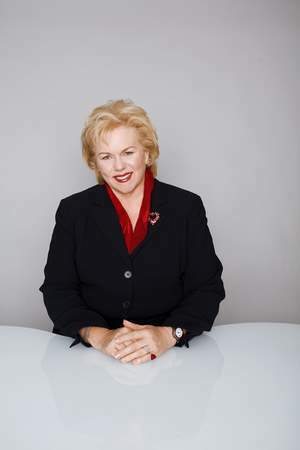 Penny currently serves as the Orange County Branch Treasurer and is a Registered Professional Engineer in California. When Penny is not at work, she enjoys time gardening and hiking or at the beach with her husband Kamron. Over the past 7 years, Jeff has been responsible for implementation of infrastructure for the “Ranch Plan” which includes facilities for watershed/drainage, water quality, highways, roadways, water, sewer, non-domestic, power distribution & transmission, and communications-utilities. In this role he also coordinates development impacts with Ranch operations and public agencies for permitting and approvals. Jeff’s 20 years prior experience includes Walt Disney Company for the Disneyland Resort expansion, CH2M Hill for the Design/Build team of the Eastern Transportation Corridor, and Berryman-Henigar for engineering consulting to governmental municipalities, districts, and schools. 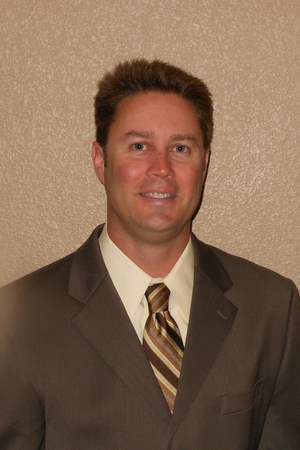 He is licensed as a Civil Engineer and Land Surveyor in California. Jeff was born and raised in Orange County and earned his Bachelors and Masters Degree in Civil Engineering from Cal State Long Beach. He is currently a student for the EMBA program at USC. 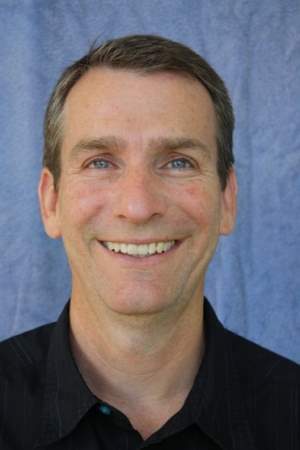 As part of his civic and non-profit efforts he serves as a member of Citizens Advisory Committee for OCTA, chairman of the Planning Commission for the City of Tustin, and a board member of his church Calvary Chapel. Jeff and his wife recently celebrated twenty-six years of marriage. They have four children ranging in age from 14 to 22 - Jeff provides great qualifications for management while multi-tasking of important resources. Professor Brett F. Sanders, Ph.D was appointed Chair of the Department of Civil and Environmental Engineering in 2010 after 13 years of service on the faculty including department leadership roles in the areas of undergraduate studies, graduate studies, faculty recruiting and strategic planning. During his tenure and continuing with his leadership as Chair, the department has grown in size and stature and is now widely recognized for academic excellence in the areas of structures, transportation, energy and the environment. He joined the faculty in 1997 after earning a B.S. Degree in Civil Engineering from UC Berkeley and an M.S. and Ph.D degree in Civil Engineering from the University of Michigan. Dr. Sanders expertise is in the area of hydrodynamic modeling and its application to challenging problems in hydraulic and coastal engineering. He is an international authority on finite volume numerical methods for solving the shallow-water equations and has published dozens of research papers on related topics such as dam-break flood modeling, but his research contributions span a range of topics including water quality modeling, flood risk management, and sediment transport. Dr. Sanders’ work can be found in numerous ASCE publications. Dr. Sanders is a recipient of the prestigious NSF CAREER award and has received grants from several federal agencies including the US Environmental Protection Agency, the National Science Foundation and the United States Geological Survey. 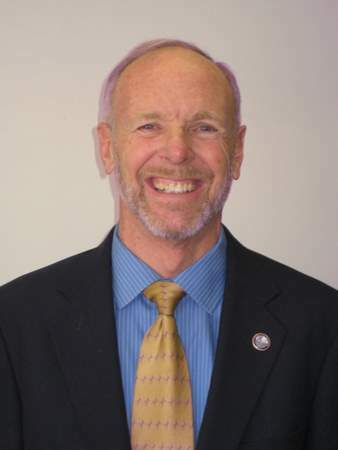 Dr. Sanders has also worked on many local projects serving the interests of counties, water and wastewater agencies, cities and the State of California. Currently, his research interests focus on coastal adaptation in response to sea level rise, and strategies to promote both storm water conservation and flood risk reduction in southern California. His teaching has been recognized with awards from the Henry Samueli School of Engineering and the UC Irvine Division of Undergraduate Education. Ignacio (Nacho) Ochoa is the Director/Chief Engineer of OC Engineering in the Public Works Department of the County of Orange where he began his career as a Junior Civil Engineer over 32 years ago. He received a Bachelor’s Degree in Civil Engineering from California State University at Long Beach where he also received his Master of Science Degree in Civil Engineering. Ignacio manages a staff of over 500 employees and oversees the design, construction, operations and maintenance of roads and regional flood control facilities in the County of Orange. 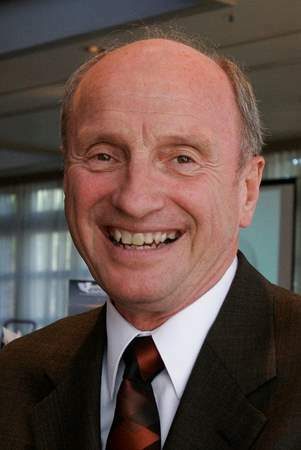 As Director of OC Engineering, he is responsible for an annual budget of over $250 million. Chief among his assignments is the continued implementation of the $2.05 billion Santa Ana River Mainstem Project (SARP) and relocation of the $100 million Santa Ana Regional Interceptor (SARI) Line which is a major pipeline that carries wastewater from the Orange/San Bernardino County border to the Orange County Sanitation District treatment facility. Recent major accomplishments include the realignment of Laguna Canyon Road (SR 133); implementation of the Foothill Circulation Phasing Plan; and numerous road, bridge, and drainage projects throughout Orange County. Ignacio’s professional associations include the American Society of Civil Engineers (ASCE), Institute of Transportation Engineers (ITE), American Public Works Association (APWA), Orange County Traffic Engineers Council (OCTEC), County Engineers Association of California (CEAC), and City Engineers Association of Orange County. Throughout his career, Ignacio has received recognition for his achievements from the professional engineering community, including the 2008 Outstanding Civil Engineer in Government Award from the Los Angeles Section of ASCE; 2007Engineer of the Year Award, from the Orange County Branch of ASCE; and 2007 Distinguished Engineer of the Year honor, from the Orange County Engineering Council. Ignacio has authored and presented numerous papers including “The Public Works Director’s Role in Emergency Services”. William Lawson’s life began in Whittier, California in 1939. In 1950 his family moved to Pico Rivera and he graduated from El Rancho High School in 1957. William studied Civil Engineering at USC and received a BSCE degree in 1962. His ASCE membership began with the USC student chapter. He also served in the U. S. Marine Corps Reserves (1959 - 1965). William married Patricia in 1961 and has three children. They now have four grandchildren. After graduation from USC, William worked for Southern California Edison Company in Los Angeles for 12 years. While there, he was active in the Los Angeles Section's Power Division. Starting in 1973 he designed water facilities for Boyle Engineering in Orange County, then in 1975 he moved to Bechtel Power Corporation in Norwalk where he did nuclear generation facilities design work. In 1978 William moved to the Jack G. Raub Company in Orange County where he did flood control design work for the development of Mission Viejo and Aliso Viejo. He began participation in the Orange County Branch and it's committees during these years. In 1994 William went to work for ASL Consulting Engineers as their Drainage Design Manager for the SR 241 Foothill-Eastern Transportation Corridor Toll Road project. From there he went to Tettemer and Associates/The Keith Companies, and then Stantec, where he managed the hydrologic analysis and hydraulic design of flood control and drainage facilities for public and private clients until his retirement in 2008. William has served twice as the Chairman of the Hydrology and Hydraulics Technical Group, and is currently the Chairman of the Branch's History and Heritage Committee. He is also a Fellow and Life member of ASCE. William’s personal interests include such activities as camping, hiking, photography, and woodworking. 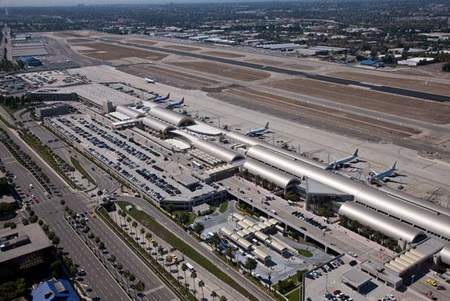 John Wayne Airport’s (JWA) $543 million Airport Improvement Program (AIP) – including the new Terminal C, Parking Structure C, a new central utility plant (CUP) and related projects – is the largest public project to-date in the County of Orange. The project goal was to improve services and convenience to the passengers and enhance economic benefits to the surrounding community. The AIP is comprised of major improvements and expansion of the existing terminal and its facilities. 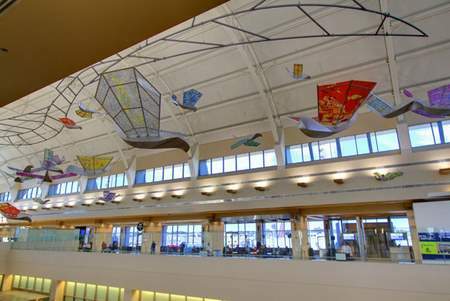 Terminal C adds nearly 300,000 square feet to the existing building, and houses six new gates, added security lanes, three new baggage carousels, and a variety of new restaurants, retail, and other support facilities. Parking Structure C is a five-level, 725,000 square foot concrete structure at the south end of the airport and provides 2,020 additional parking spaces. The Central Utility Plant is capable of handling the entire terminal complex electrical load, while simultaneously providing heating and cooling through an extensive heat recovery system. RBF was responsible for the planning and civil engineering for this 800-acre, 781-unit development in Brea, California. The project is located within an active oil field with over 250 operating oil wells and a gas processing/co-generation plant on the site. Working as a team to plan and engineer a residential development, located within an active oil field and challenging terrain, overwhelmingly drove the success of this project. A special working relationship has developed amongst the team to share information openly, freely and quickly between the owners/developer, design team, and permitting agencies. The project posed complex traditional and unconventional challenges for team members. Challenging traditional areas addressed by RBF included infrastructure improvements in a hillside development that required extensive grading, storm water detention and site water quality. Integrating residential units among the existing oil wells within seven defined planning areas posed unconventional challenges for the team. The team addressed these challenges through the vaulting and abandonment of oil wells, methane gas mitigation, rerouting of oil facilities, management of oil-impacted soil, oil seeps mitigation, and existing, interim and proposed oil field operational issues. The team’s efforts resulted in a project proposed with 781 residential units on 115 acres of developable land with nearly 50 active wells remaining. Community features also planned and engineered by RBF included a 15-acre city park with baseball diamond and football/soccer field and basketball court, 6 intimate community parks and 22 “pocket parks” integrated around vaulted oil wells within the neighborhoods. A 1.7-mile regional trail traversing the ridgeline of the property with vistas of Orange County to the south and Tonner Canyon to the north will also enhance the development. 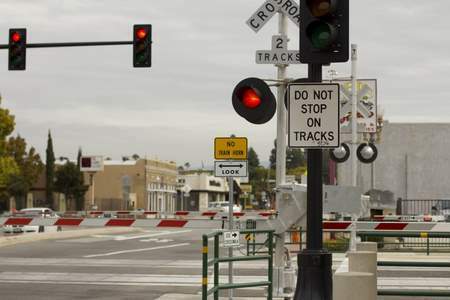 The first countywide and largest grade crossing safety enhancement and quiet zone program in the United States, the OCTA Rail-Highway Grade Crossing Safety Enhancement and Quiet Zone Program is a $93 million construction project for the enhancement of rail safety at 52 railroad crossings in Orange County and for the installation of supplemental safety measures to meet Federal Railroad Administration requirements for the establishment of a quiet zone. The crossings are spread throughout eight cities in the county: San Clemente, Dana Point, San Juan Capistrano, Irvine, Tustin, Santa Ana, Orange and Anaheim. OCTA partnered with the participating cities and developed a cost sharing formula by which OCTA pays for 88 percent of the construction costs while participating cities pay 12 percent. OCTA also coordinated closely with SCRRA, CPUC and the Federal Railroad Administration as well as with the operating railroads, including: BNSF, Union Pacific, Metrolink, and Amtrak. Amassing a database of over 16,000 entries. Safety enhancements installed as part of the project include raised medians, traffic signals synchronized with railroad signals, additional pedestrian channelization fencing, pedestrian signal gates, pedestrian escape exit swing gates, handrails, traffic queue-cutter signals, traffic pre-signals, rail crossing vehicle loop detectors, signs and other improvements to enhance safety around the crossings. Improvements at all 52 crossings were complete by the end of December 2011. These crossings are now significantly safer for both pedestrians and motorists. Additional professional services included topographic survey, utility detection survey, geotechnical investigation, and detailed traffic control plans. Harris’ drainage expertise not only saved the City over $1 million in construction costs, but also helped reduce the City’s liability of flooding private properties by maintaining the historical flood path. Construction of the new storm drain started in May 2010 and was completed in November, just in time for the rainy season. During a series of heavy December storms, the new design and improved drainage system kept the neighborhood from flooding.